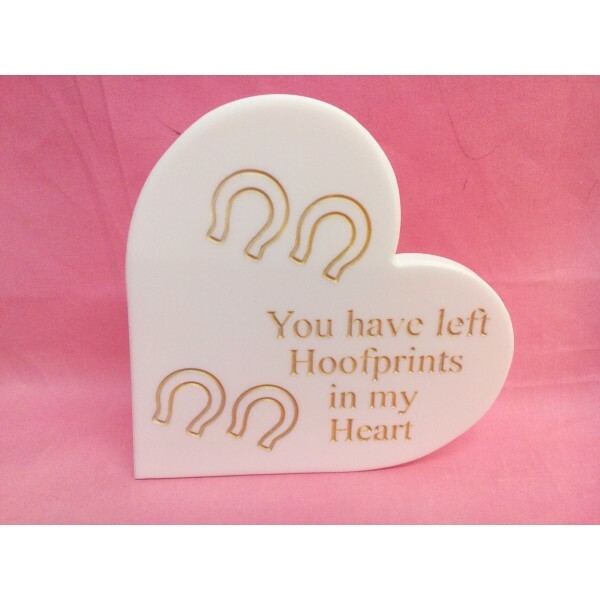 White corian heart engraved with you have left hoof prints in my heart. Can be used indoors or out doors water proof. 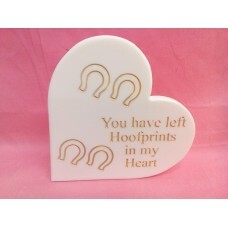 All writing is gold can be done any colour please leave a message with payment if you require a different colour.